“Island” authors are very passionate about literacy. How do I know? 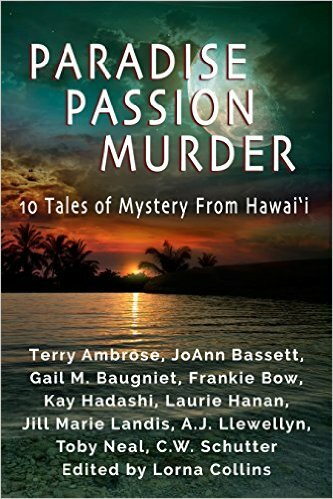 Last year I was asked by Terry Ambrose (author of the McKenna Mysteries set in Hawaii) to join an uber-talented and successful group of ten authors to help raise money for Read Aloud America Hawaii. Terry’s answer: Write a short story set in Hawaii. Terry went on to say that I could use the characters from my Tiki Goddess Mysteries. And he sweetened the deal with some insight. Since we all write books set in the islands, not only would book sales benefit Read Aloud America, but through “cross pollination” our own readers might discover more favorite authors in the compilation and vice versa. Wow. How could I say no? The story I wrote for the collection is entitled “Curse of the Lost Tiki” and it features Uncle Louie Marshall, owner of the Tiki Goddess Bar. Since readers never get a glimpse into Uncle Louie’s point of view in the series, this gives them a chance to follow Louie through the story as he fights to save Kauai from certain disaster brought on by the unearthing of a cursed tiki. You can find out a little more about Louie and what a cool character he really is. From the Big Island to Kauai, the far side of Maui to the bustling streets of Honolulu, experience paradise in all its glory…and darkness. This collection of ten stories brings out the beauty of the islands, the passion of the tropics, and, yes, murder. I hope you’ll order a copy soon and enjoy the stories by ten writers want you to savor the tropics while benefiting literacy in Hawaii. The authors are: Terry Ambrose, JoAnn Bassett, Gail Baugniet, Frankie Bow, Lorna Collins (editor), Kay Hadashi, Laurie Hanan, Jill Marie Landis, AJ Llewellyn, Toby Neal, and CW Schutter. The best thing about this project is that ALL of the proceeds go directly to Read Aloud America Hawaii. PASSION PARADISE AND MURDER is available in both book and ebook formats at Amazon and Barnes and Noble. Mahalo Larry for stopping by! Miss you too. We have a mai tai ready for you! I’ve added the book to my must read! Thanks so much! I hope you enjoy the romp. I’m adding the book to my must read list.